Simply put, an inductor is an electrical component that resists an electrical current’s change as electricity passes through it. Sometimes, an inductor can be called a coil or reactor, and this is because it has two-terminal electrical components. These components are what help the inductor to resist changes. 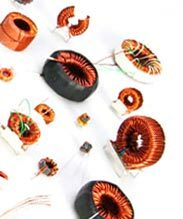 Although there are many different examples and types of inductors, usually they all have wire wound around metal or simply into a coil shape. The wrapped wire that creates the coil helps to produce a magnetic field within the inductor. As electricity passes through the inductor, energy is captured and stored within the magnetic field. When determining types of inductors, Faraday’s Law of Electromagnetic Induction helps to make decisions. This is a basic law of electromagnetism. The law helps to determine how a magnetic field will affect an electrical current (usually a current created through EMF). The equations for this law are not simple to calculate, so it would be best to reach out to a professional in the field of inductors and toroids. An important word to understand when thinking about electromagnetism is INDUCTANCE. This word describes the properties of the inductor. The ratio of the rate of current change to voltage is the main way to find out about an inductor’s inductance. Products that have magnetic cores made from iron, ferrite, or a mix of the two, greatly increase the magnet field strength. As a result of this, ferrite and iron cores tend to have high inductance. Most people have not seen an inductor, although most people see and use products that have them inside (whether is be toroids or bobbins). The two biggest industries to utilize inductors is the signal processing and analog circuits industry. When you walk a long a city street that still has wires above ground that move energy, you are looking at products that have inductors. The inductors are not in the wire, but they are in the transformer. This is what allows for such a great deal of energy to be safely transport energy to different parts of the world. These products are also used to help transmit radio frequencies. Without proper inductors, radio, and especially AM, would be dealing with a great deal of static interrupting their broadcasts. Each type of inductor does a specific job. This includes radio frequency inductors, ferromagnetic core inductors, laminate core inductors, and toroidal core inductors. 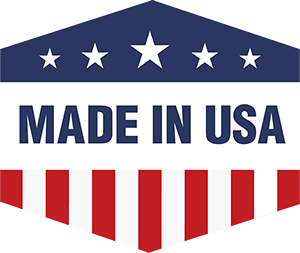 In order to find the best product for you, call a local toroid company today.